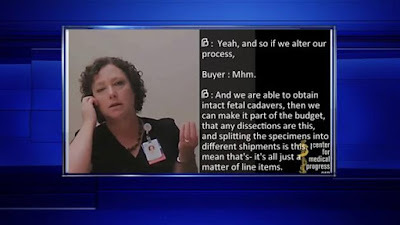 A new 5th shocking video of Planned Butcherhood Parenthood harvesting fetal parts has been released, a day after Democrats blocked a vote to defund this barbaric organization. They currently receive $500,000,000 dollars annually from the U.S. federal government. 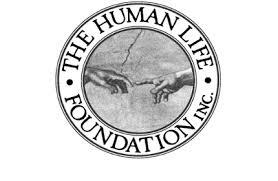 That's half a billion dollars each year that could be going to provide real prenatal health care as well as mother and newborn care and services by a legitimate life-affirming organization. 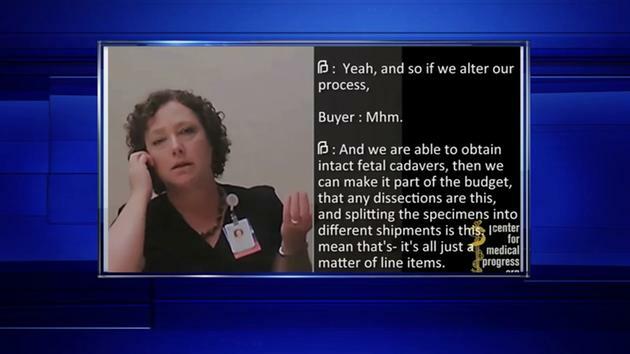 Below is the fifth video showing discussions with a very willing Planned Parenthood official about obtaining intact dead babies they call "specimens". horrendous! Absolutely horrendous! Remember the Democrat Members of Congress, Barack Obama, and Hillary Clinton staunchly support Planned Parenthood. Remember this during the upcoming Presidential election. Get rid of the Democrats. They are unfit to govern. [WARNING: GRUESOME DISCUSSION AND VISUALS IN THE FOLLOWING VIDEO. For those readers who can stomach the shocking material, click on image below or https://www.youtube.com/watch?v=egGUEvY7CEg . The glass tray of baby parts can be seen from 14:13-14:21. If you pause the video at 14:18, you can clearly see in the collection of fresh fetal parts, a baby's left arm in the upper right of the tray and a baby's right foot inn the lower left of the tray.